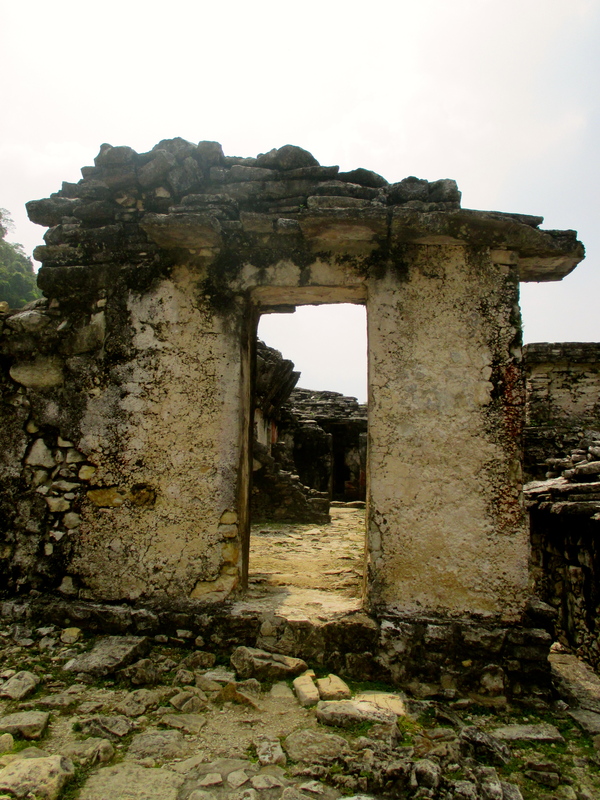 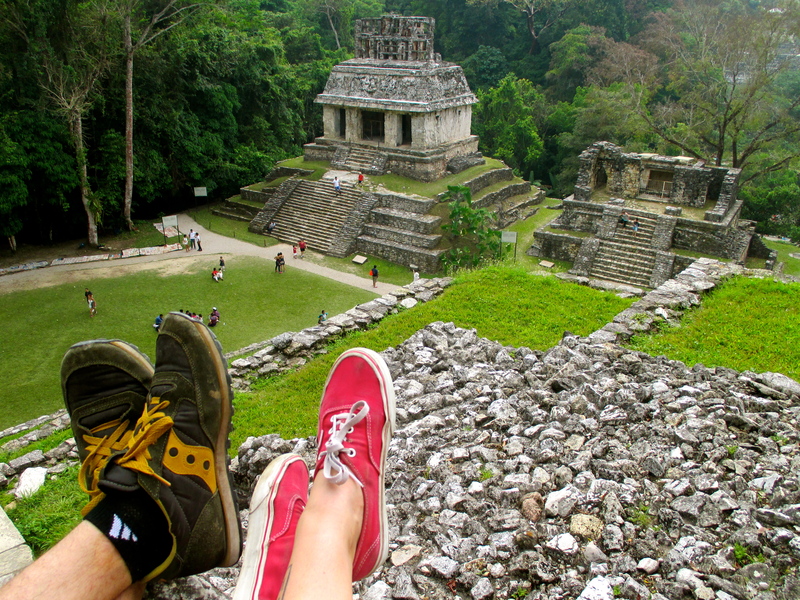 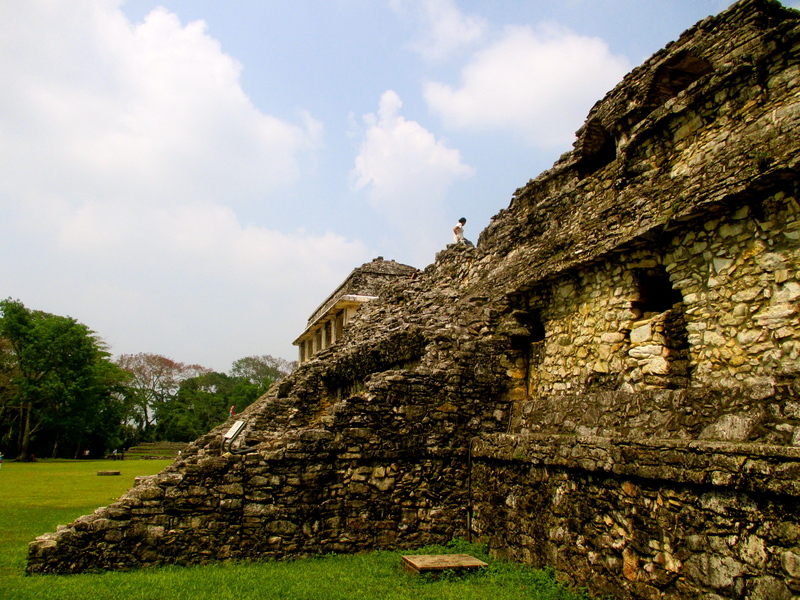 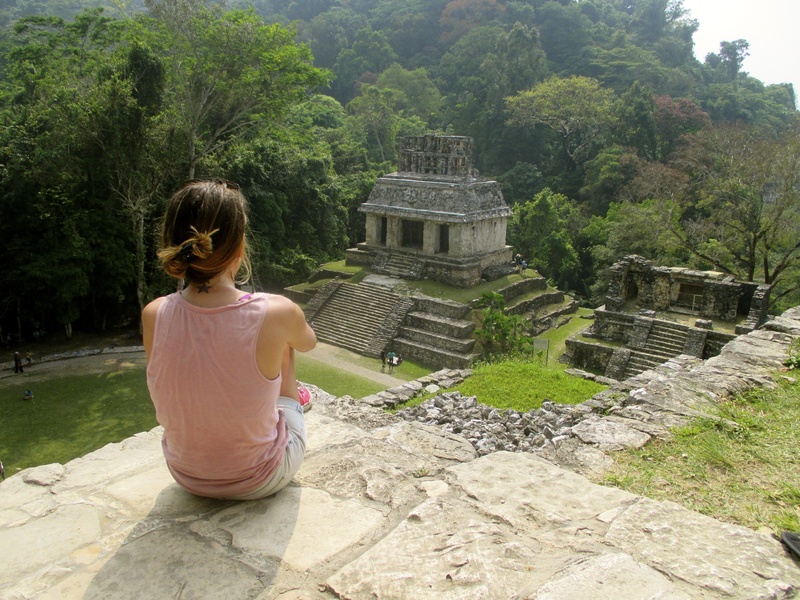 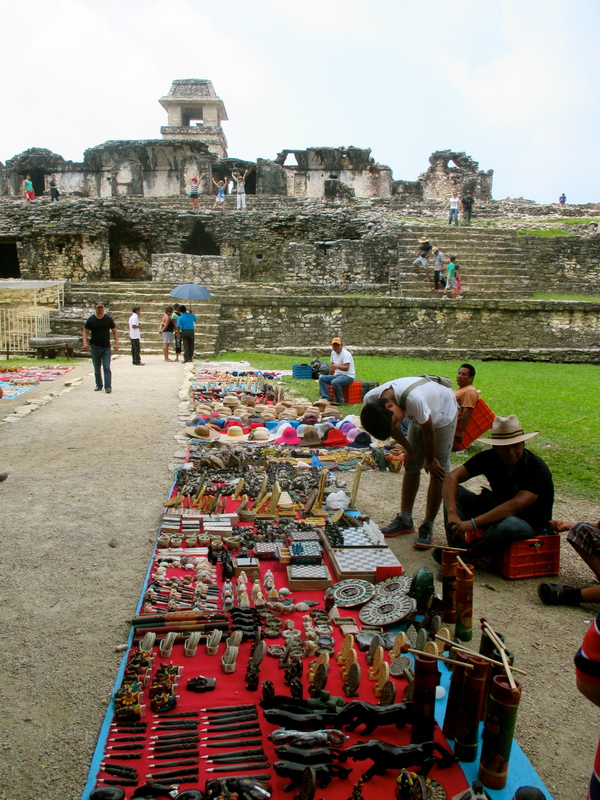 Jungle to Jungle, Exploring the Palenque Ruins. 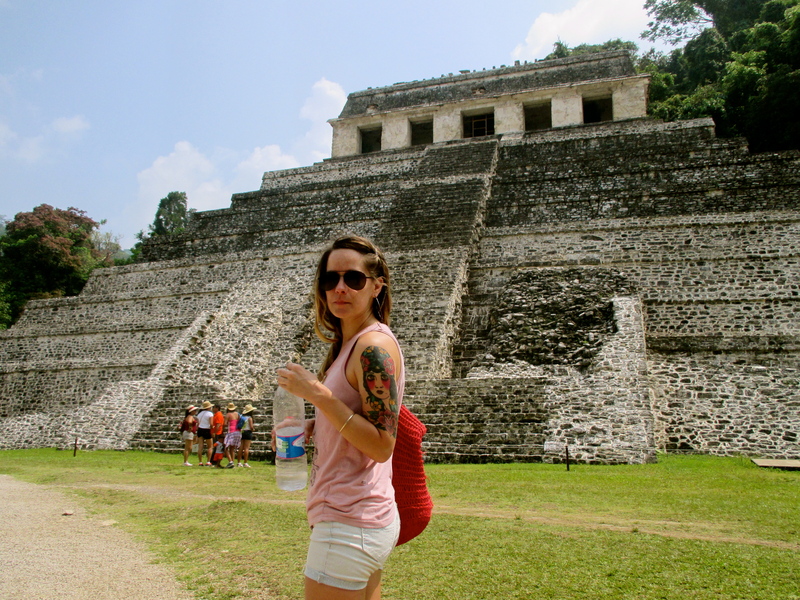 Let it be known that I love exploring ruins. 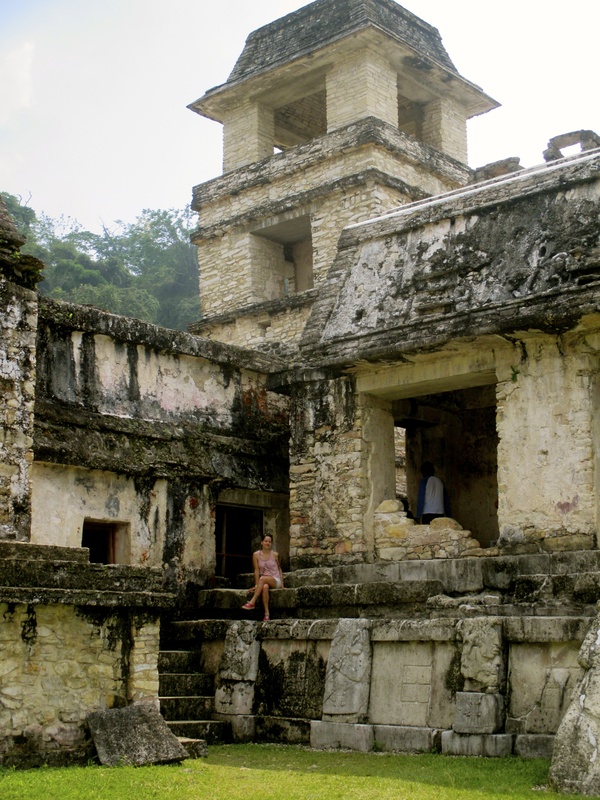 Climbing thousand year old steps, reaching mountainous lookouts, and peering over palace ledges that open up into breathtaking panorama views of whole city-states just feels amazing. 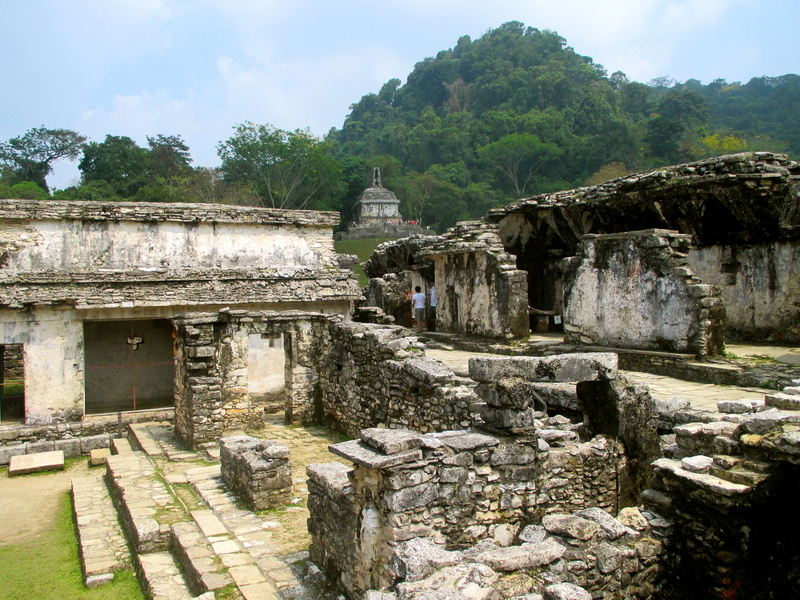 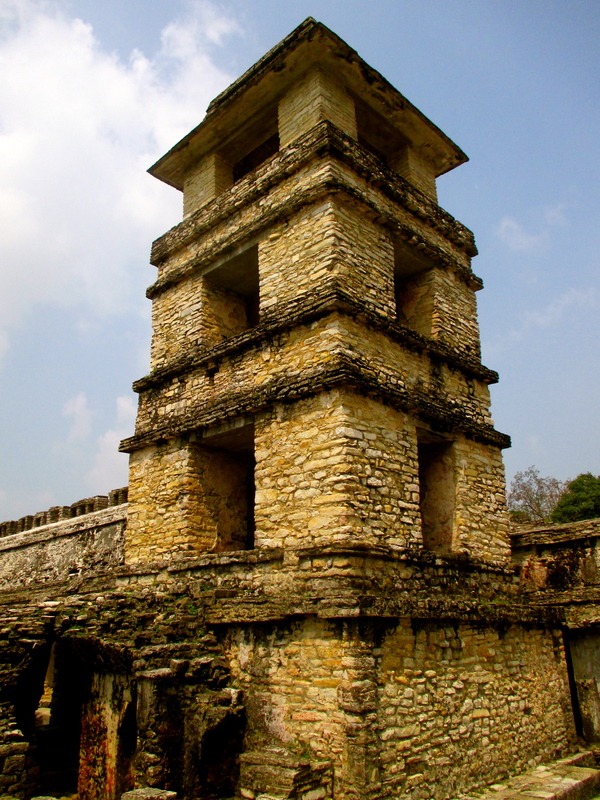 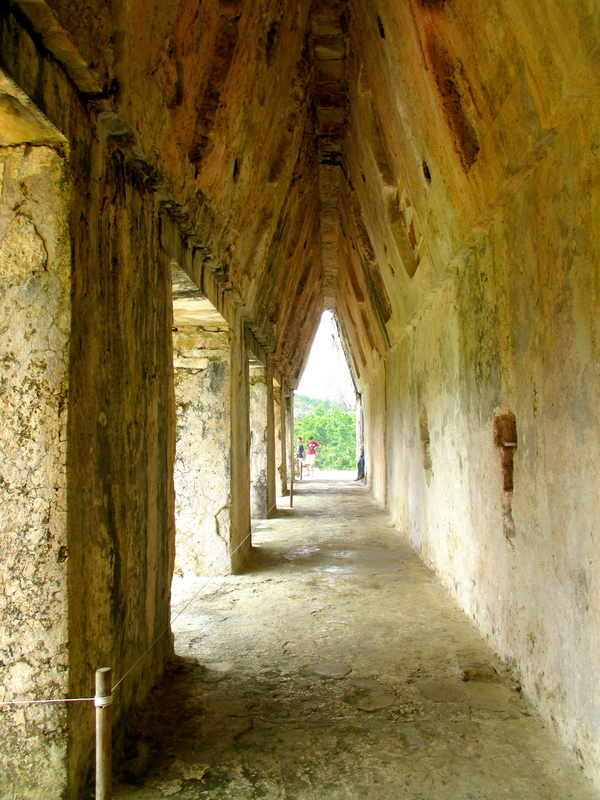 The second of the ruins visited on this trip, and possibly the most ornate in detail, Palenque was a site to be seen. 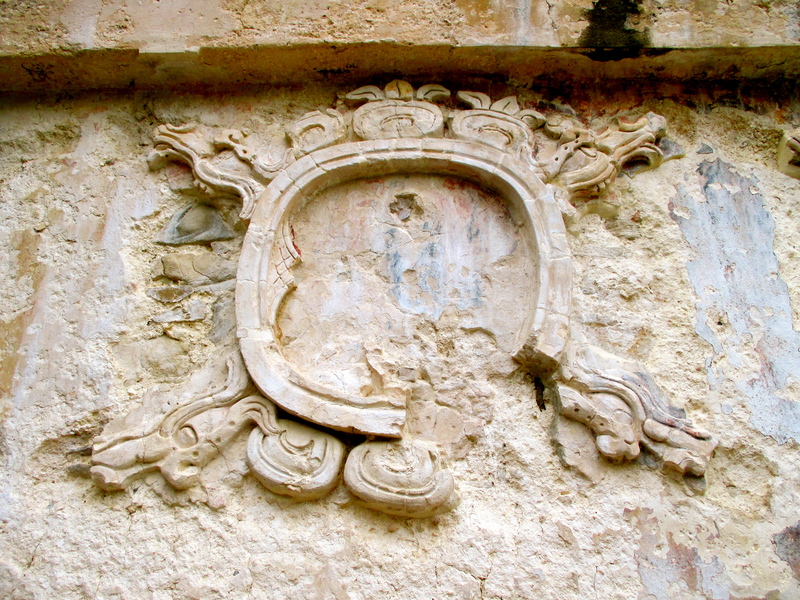 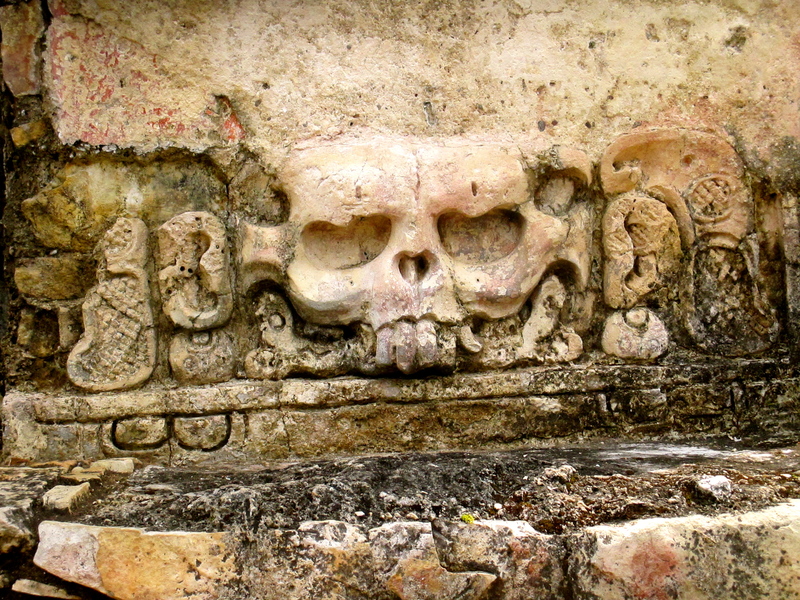 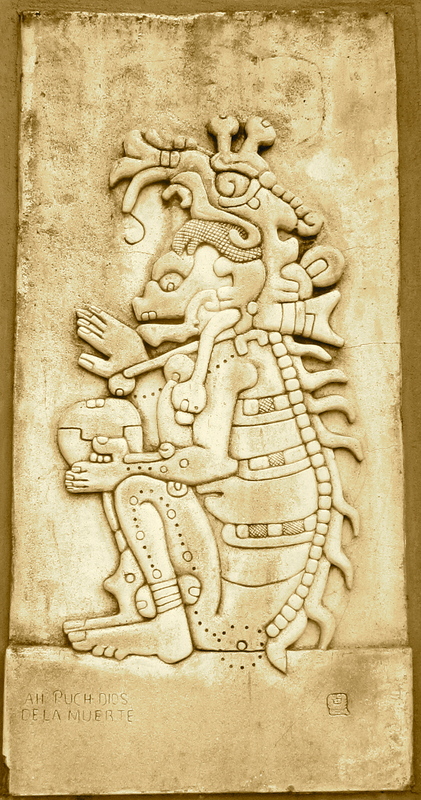 Bas-relief carvings of skulls and sculpted figures decorated exterior walls. 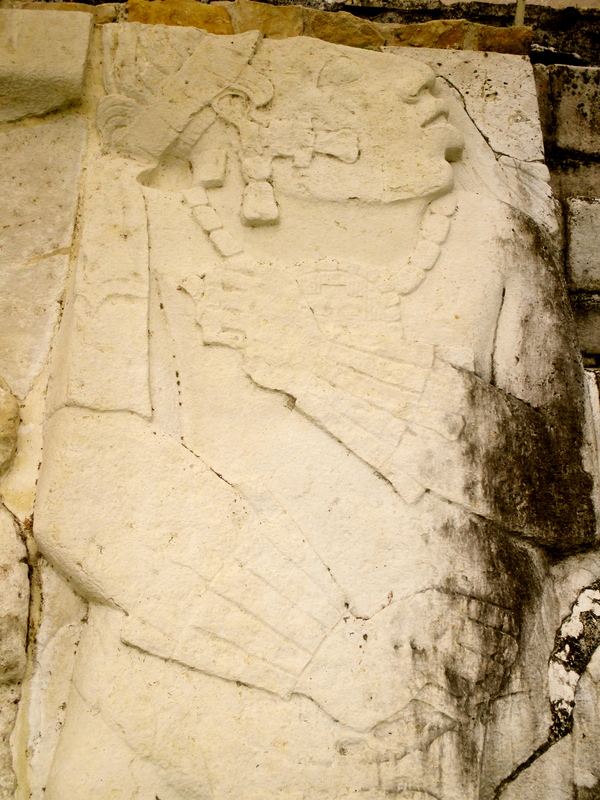 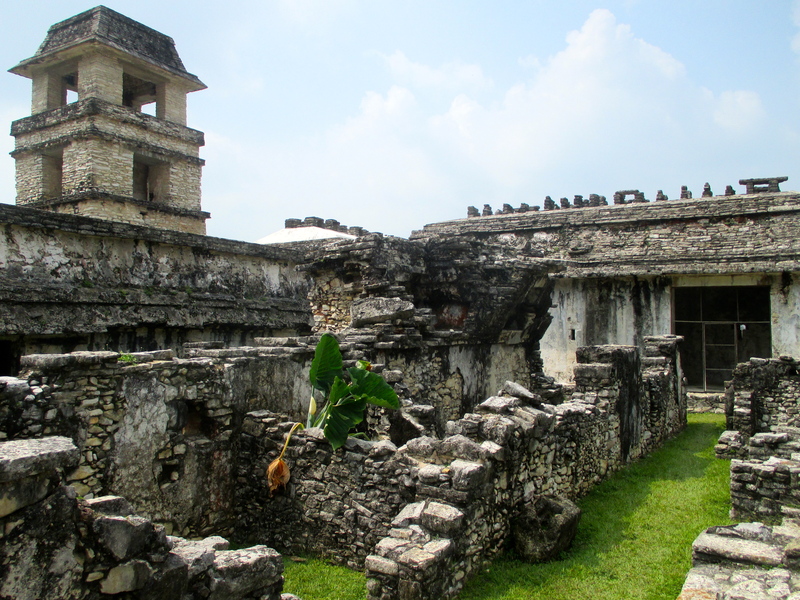 Mayan glyphs of kings on thrones with jaguar heads welcomed wandering visitors to the courtyards. 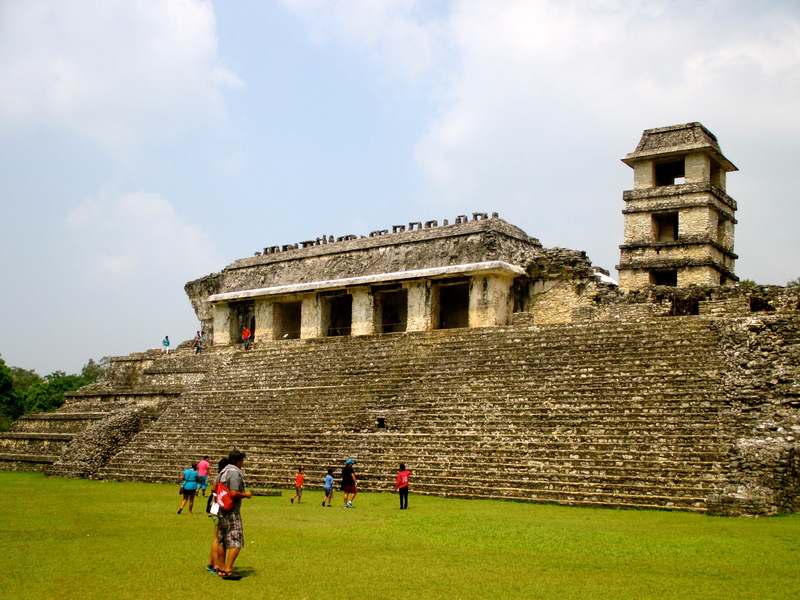 We were able to get up close and personal with palaces and temples, and explore the cavernous innards of ancient tombs and noble residences. 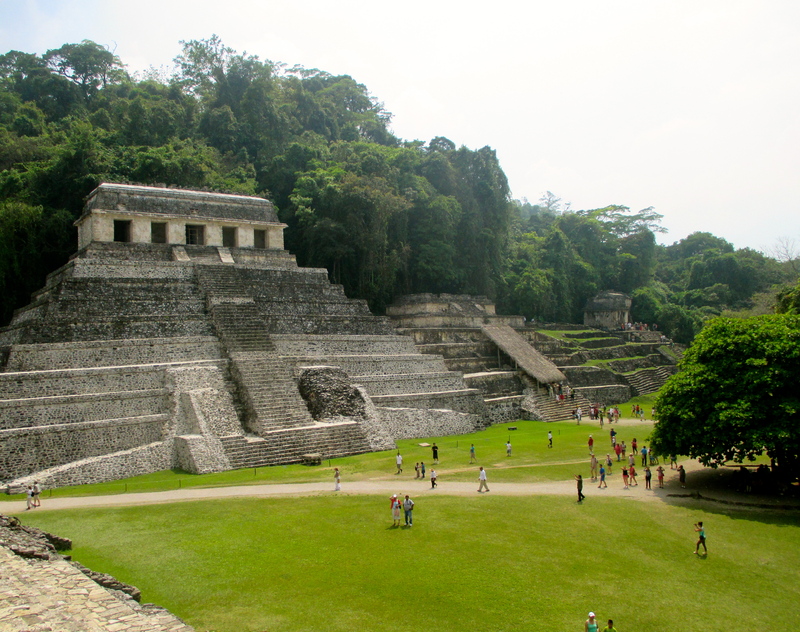 What astonished me the most was that it is estimated that only 5% of the ruins in Palenque have even been excavated, meaning 95% are still yearning for a trowel to uncover them from their jungle hiding places! 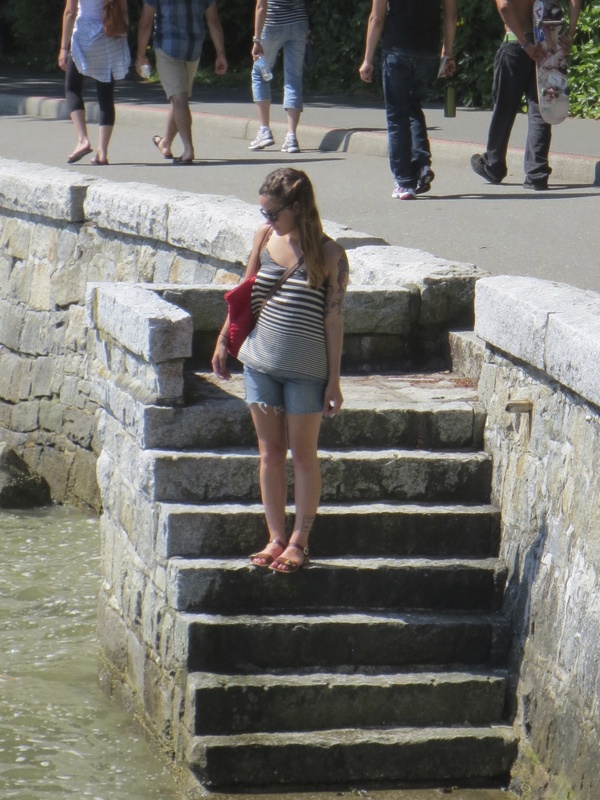 From my heated journey it already appeared that the grounds were massive, so I can’t even imagine what the full scope looks like! 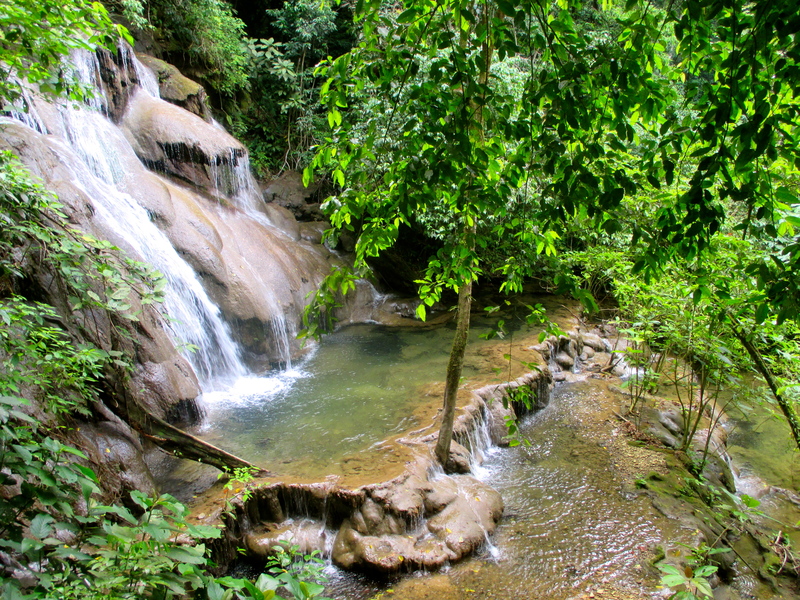 The vegetation was dense, the location was picturesque and the sunshine was bountiful! 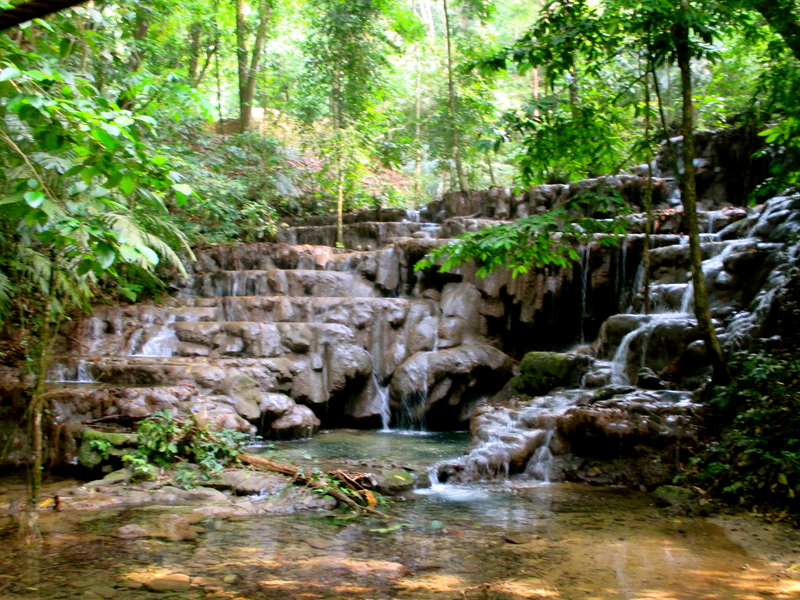 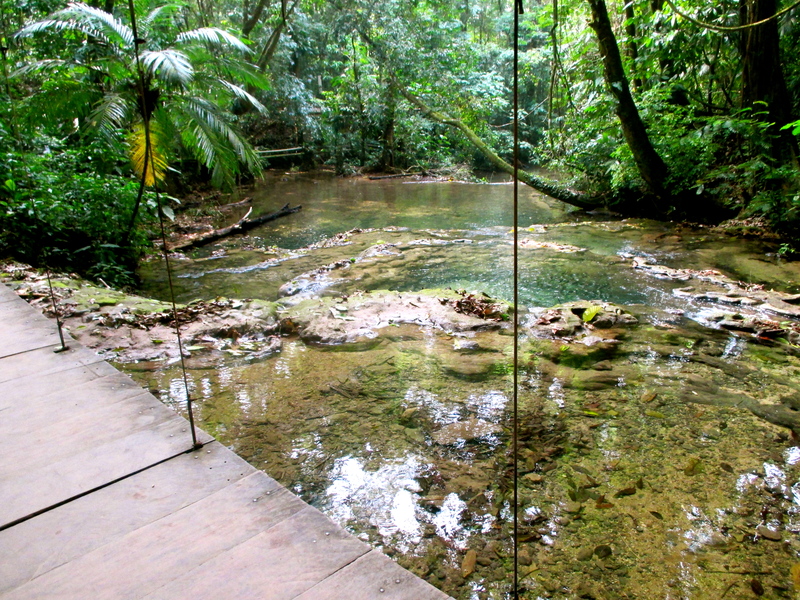 If I had to set up camp/my own kingdom I would definitely stop here, if not for the water features alone!